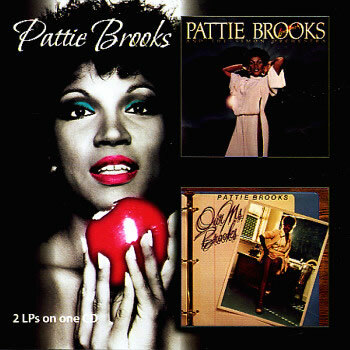 PATTIE BROOKS – LOVE SHOOK/OUR MS. BROOKS : Grandiose Floor-Fillers From The Forgotten Diva – Schlockmania! 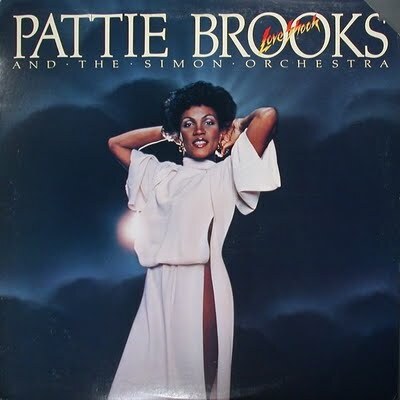 Pattie Brooks: in a conversation on disco divas, her name might not pop up as quickly as Donna Summer or Gloria Gaynor but that doesn’t make her work any less important. It’s merely a reflection of how little promotion she got during her heyday. Thankfully, the loss of the pop charts became the gain of the clubgoers. The diehard disco fanatics fell in love with her work at first listen, creating a fervent cult following that remains passionate about her music to this day. Novices can get an in-depth insight into what drives Brooks’ fans wild via this Funky Town Grooves reissue, which pairs her debut album, Love Shook, with the follow-up, Our Ms. Brooks. This disc represents a double-shot of disco at its most delirious. The strings swoosh and skitter all over the soundscape, the percussion pounds with a polyrhythmic fervor and flowery keyboard and synth frills flutter into every space inbetween. There are no overtures to the pop charts here. This is music aimed directly at the pleasure centers of the discophile. According to Stephen L. Freeman’s entertainingly dishy liner notes, each track on Love Shook became a club favorite upon its release in 1977. A listen reveals why: producer Simon Soussan knew exactly what the disco cognoscenti wanted from a record. The epic opener “Girl Don’t Make Me Wait” sets the tone by taking an old Gamble/Huff tune and reworking it into a taut yet expansive mini-symphony bursting with strings, Spanish guitar, a battery of percussive devices, classical-inspired piano runs and even some gypsy violin soloing. Brooks floats over the dense production with her elegant vocals, which shift from airy, soprano cooing to a more forceful style of soul-music emoting in a seamless style. The rest of Love Shook maintains this bombastic old-school disco approach. The title track and “Let’s Make Love To The Music” revel in an oversexed vibe, pumping up the intensity of their innuendos with densely hook-laden arrangements driven by relentless, multilayered percussion. “Pop Collage Medley” is a wonderfully over-the-top coup de grace, blending an trio of oddly-matched tunes – “Popcorn,” “Black Is Black” and “Na, Na, Hey, Hey (Kiss Him Goodbye)” – into a kitsch epic of grandiose proportions. Brooks keeps this crazy carriage anchored with straight-faced vocals, even as the arrangement jumps off the cliff into the valley of high-camp delirium. Our Ms. Brooks continues along the same lines but adds an extra bit of polish and studio sophistication. Album opener “After Dark” is probably Brooks’ best-known disco classic, a pulsating hymn to the nightlife that works a stuttered-cowbell beat relentlessly as it heaps on layers of synths, piano and horns. Brooks’ vocals are fantastic, gliding softly across the top of this wall of sound and creating a killer hook at chorus-time when competing overdubs of her vocals dovetail with each other as they coo the title phrase. The remainder of Our Ms. Brooks retains the action-packed feel of its predecessor. Producer Soussan maintains his wall-of-sound Eurodisco approach, transforming the Philly soul nugget “This Is The House Where Love Died” into a multi-movement extravaganza that offsets song’s soulful melody with a surging bass-and-congas vamp. “Heartbreak In Disguise” features a killer breakdown where swelling strings duke it out with Latin percussion. “Come Fly With Me/Let’s Do It Again” is a sweet groover that marries an ethereal melody carried by violins and Brooks’ mellifluous vocals to a pounding beat. The final song on Our Ms. Brooks is poignant in an unintended way: “The Back-Up Singer” is an elegant ballad-with-a-beat written and produced by outside contributor Bob Esty that laments the plight of a skilled singer relegated to the background. It turned out to be prophetic in light of Brooks’ short-lived career as a disco diva. There would be a few more albums but she would soon recede into the twilight of session singing and backup vocalist work, leaving a legacy tended to only by the disco cultists. Hopefully, this two-for-one extravaganza can bring her work back into the repertoire of modern collectors. It’s a beautiful-sounding disc taken from master tapes, rendering the complex mixes beautifully for both stereo and headphone listening. The concise, informative liners by Stephen L. Freeman add extra value and the overall package is another winner for Funky Town Grooves. All in all, it’s the kind of tribute that a forgotten diva deserves. Next ArticleSchlock-Wire: Expanded, Limited Edition Reissue of EMANUELLE IN AMERICA Soundtrack Now Available From Beat Records!